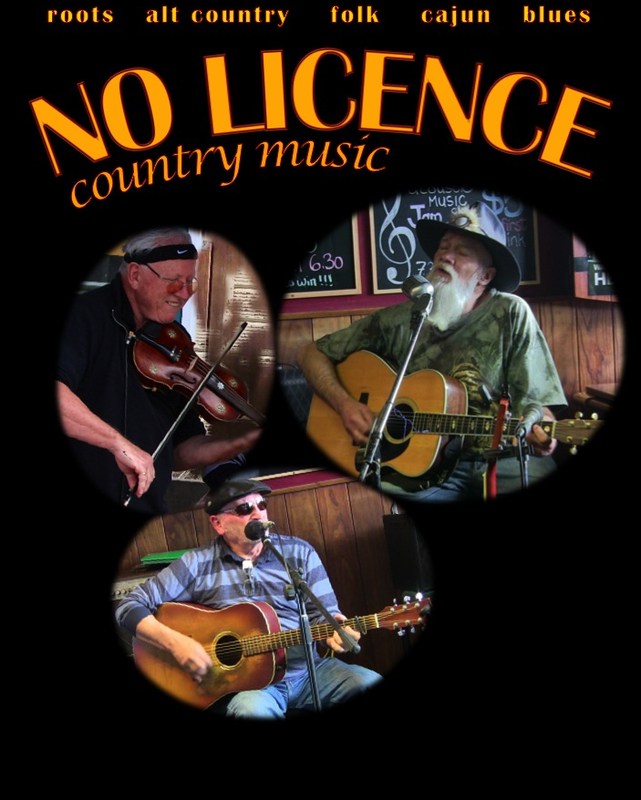 NO LICENCE play AMERICANA: country, outlaw, roots, hillbilly, cajun, folk, swing, jazz and blues. We perform with genuine feeling, versatility, diversity, and great musicianship. We're sure we'll make your ears prick up and your toes start tapping. 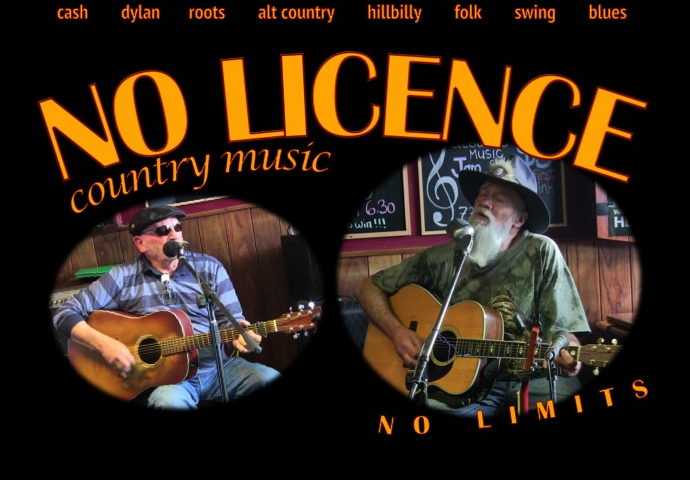 NO LICENCE DUO 1: Max McDonnell - vocals, guitar, banjo, mandolin, dobro & Gerry Meister - vocal, guitar, flute. NO LICENCE TRIO: Max, Gerry & Alex. 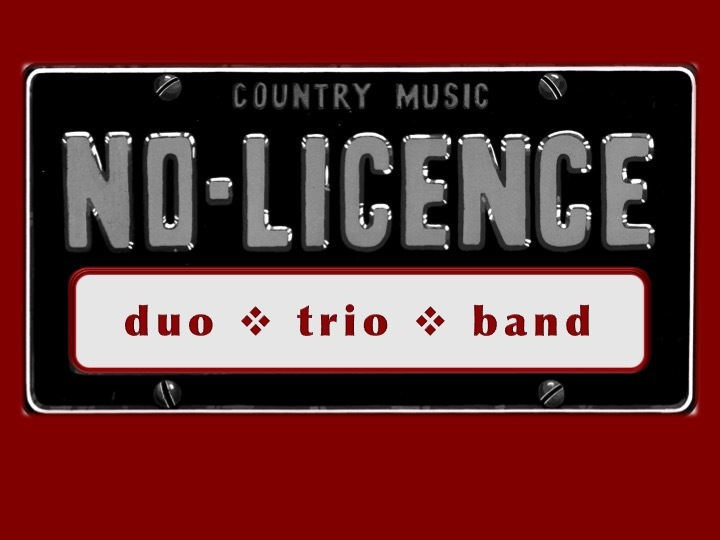 NO LICENCE BAND: Max, Gerry, Alex, & Maureen May - bass, vocals & Phil Rowntree - drums, percussion. 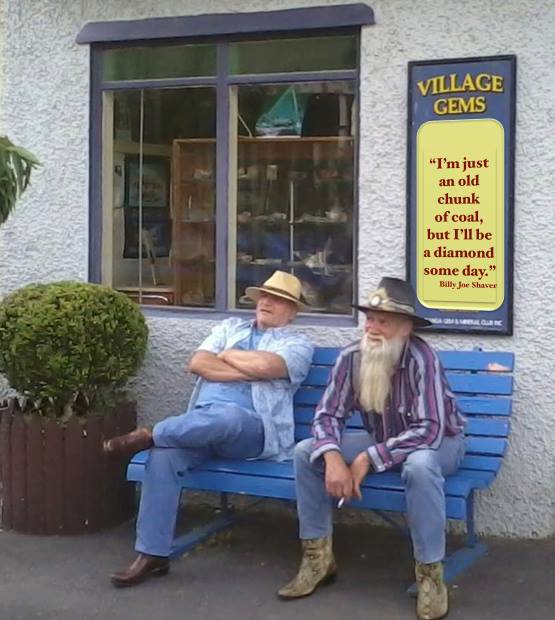 All are experienced musicians who can entertain any audience, and are members of the original NO LICENCE which performed in clubs, pubs and dances around lower half of the North Island in the early 80's and 90's. Our set list has over 300 songs. We perform music by Johnny Cash, Willy Nelson, Townes van Zandt, Steve Earle, Bob Dylan, Rodney Crowell, Hank Williams, the Rolling Stones .... and on and on, plus a number of original songs in the country idiom.